This is my first time painting, and painting camo at that. It&#39;s a Devilfish APC, no frills or mods. It&#39;s made for a pirate Tau army. 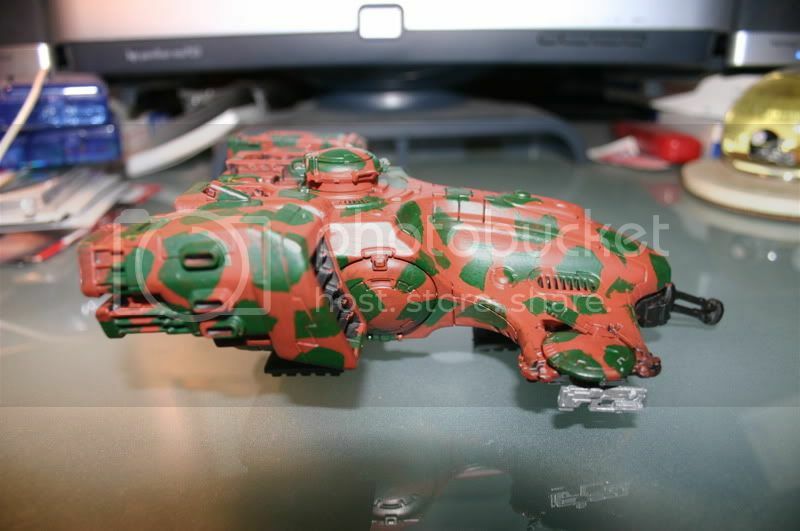 This actually looks very nice, though the paint job seems somewhat flat. 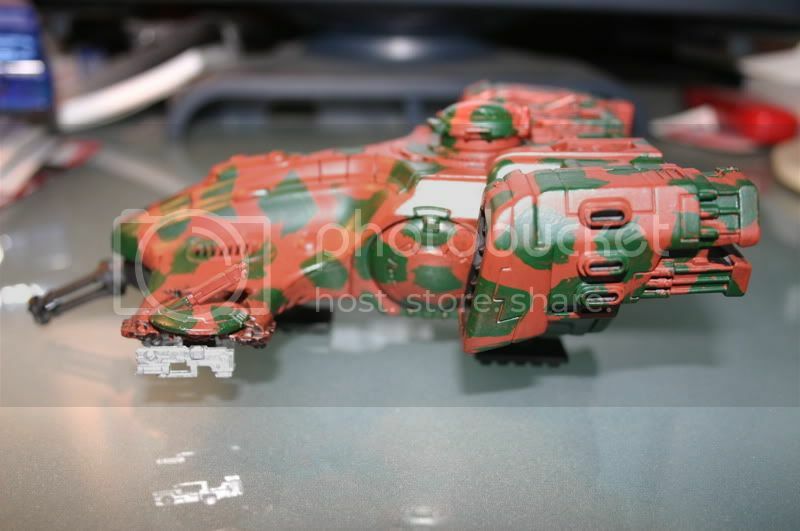 Perhaps if you go back and highlight around/fill in the armour seams and pick out the details (thrusters, vents, windows etc), this model would have a lot more &#39;wow&#39; factor. 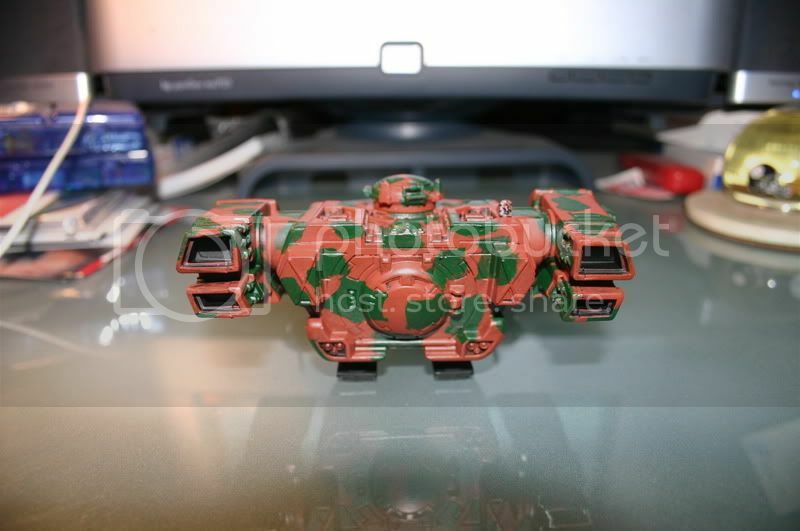 It might also help to paint the carbines on the drones. Guess you can&#39;t tell. The carbines are painted mytril silver. All the weapons have been "chromed" with this army. I had thought it might be silver, but in the second pic it just looks like bare plastic. If the flash was on, it would explain the flat look of that carbine. When i get a chance (and the money) I&#39;m going to paint the inside of the engines ice blue, paint the engine exhaust ports a darker grey, then put grills on the instrument recesses behind the hatch. besides that, I think it&#39;s good. 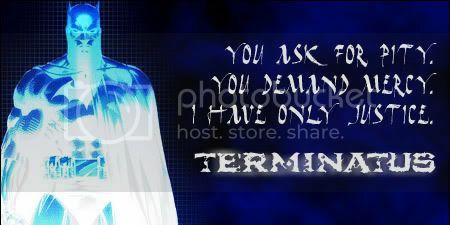 Typically, you should use about three colors for camoflage. It usually defeats the "flat" look you get. well the red and green looks a little funky. the green isn&#39;t exactly going to hide that thing due to the bright red! Where exactly is this thing supposed to be hiding? Looks like something from chrome hounds, nice job. 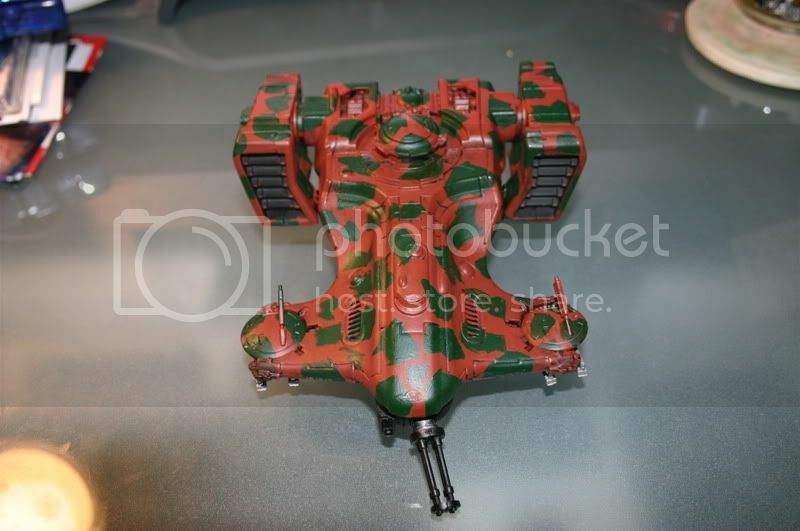 I love original paint schemes, rather than just using the t&#39;au colours.